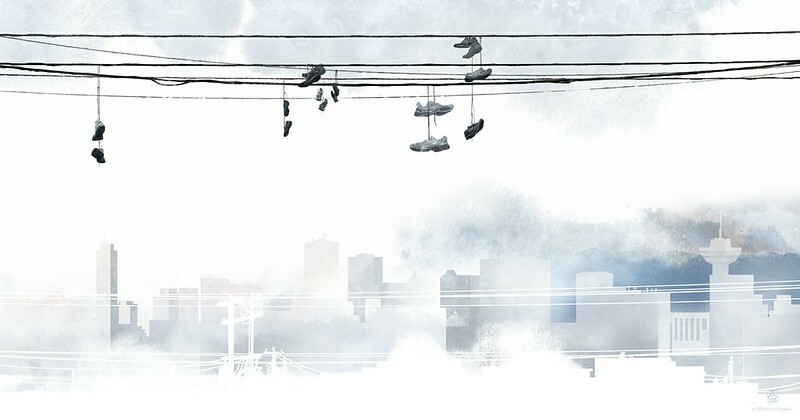 Illustrations for Interesting Vancouver 2013. 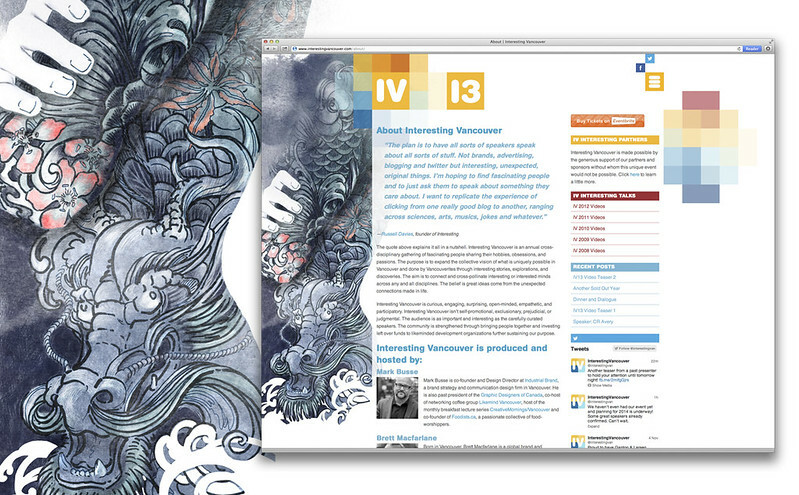 The illustrations were used on the 2013 version of the Interesting Vancouver website, as well as the printed event programs, and promotional teaser videos and were inspired by three talks from past Interesting Vancouver events. Dragon & koi tattoos, from Jonathan Vaughn Strebly’s 2011 talk on the stories told by tattoos. High-flung soles, from Todd Sieling’s 2011 talk on his photographic obsession. 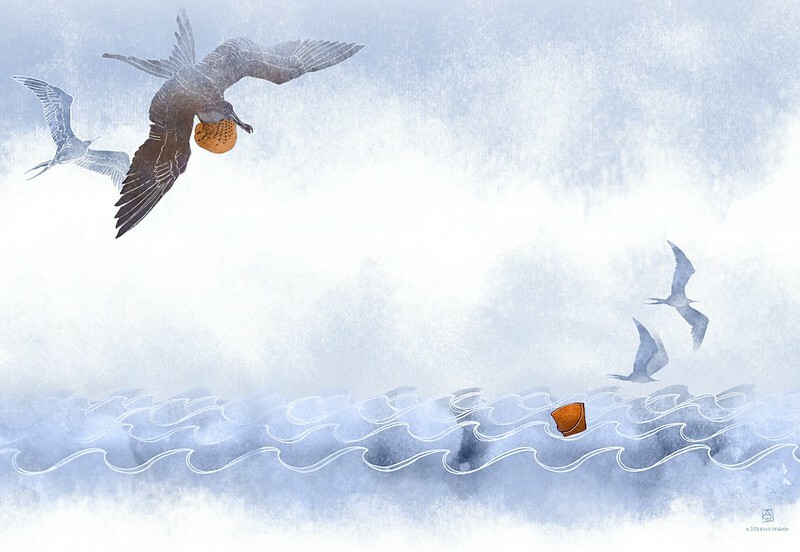 Drifting Bucket, from Tori Holmes’ 2012 talk on rowing across the Atlantic.